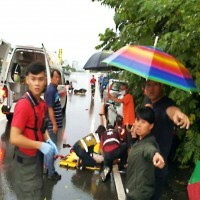 TAIPEI (Taiwan News) - As Typhoon Mangkhut (山竹) left the Philippines heading for China, a tornado and a waterspout hit different stretches of the Taitung County coastline Saturday afternoon. 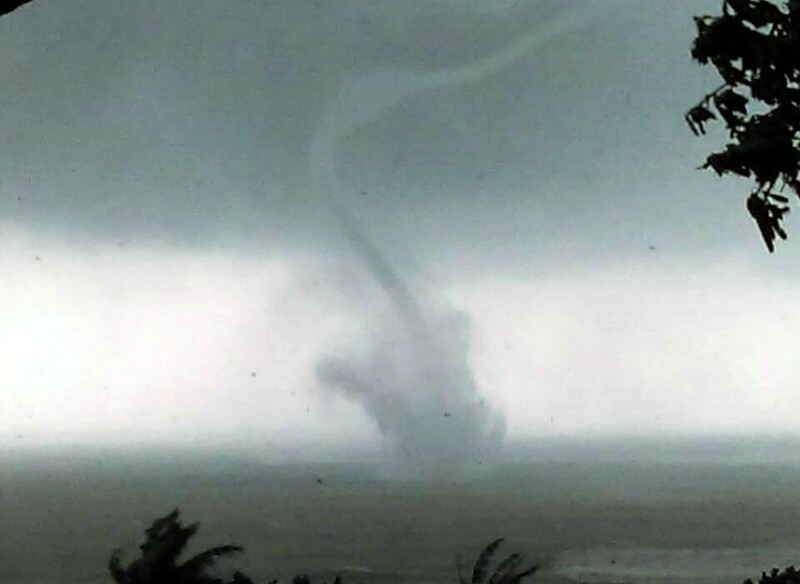 A waterspout is a spinning column of air filled with water which forms over the sea, while a tornado is its land-based counterpart. 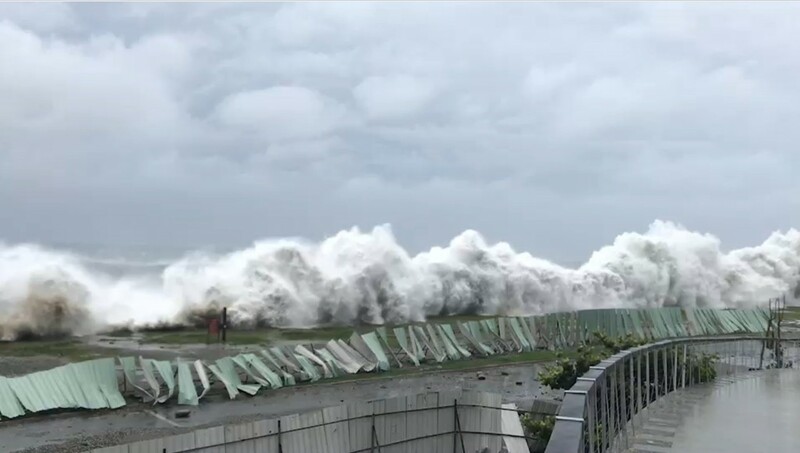 As the waves grew weaker later Saturday, a tornado moved ashore at the fishing harbor of Shangwu (尚武), throwing rafts on land which had escaped the worst of the waves earlier in the day and ripping apart the roofs of homes, the Central News Agency reported. 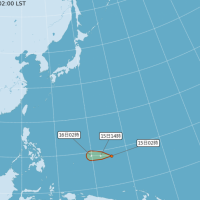 Near another segment of the Taitung coast, witnesses saw a waterspout move about off the town of Chenggong (成功), but no damage was reported. 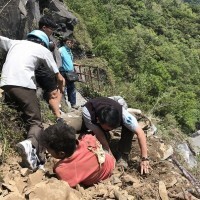 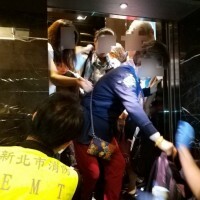 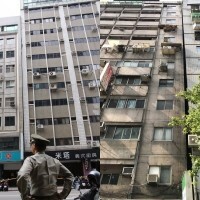 On Friday evening, waves 5 to 6 meters tall hit Shangwu and Fugang (富岡), while several parks in the county were flooded Saturday, according to CNA. 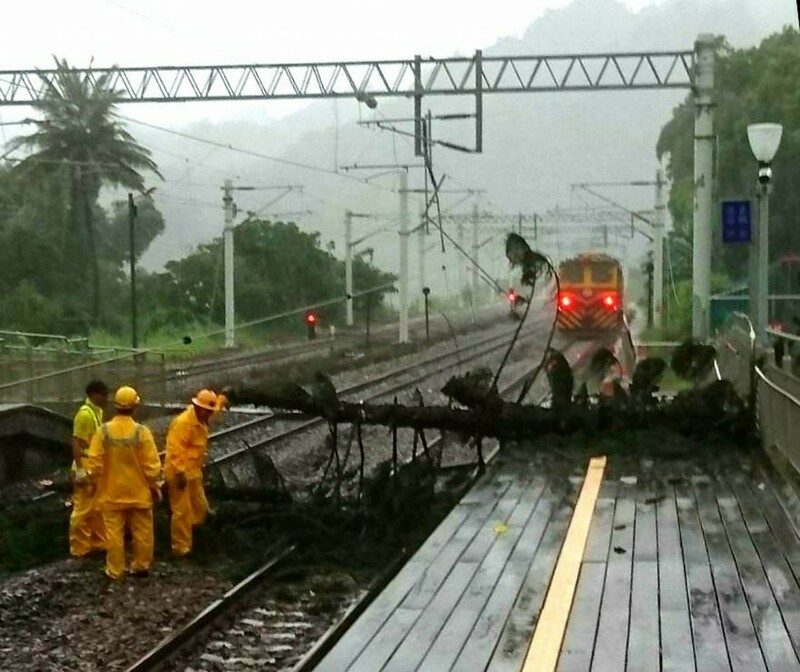 A tree fell across the tracks at Shanli (山里) railway station, cutting out power and disrupting rail traffic in the area. 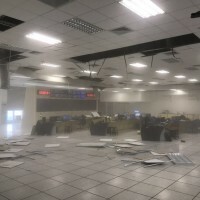 Diesel trains temporarily replaced electric trains to help relieve the situation, CNA reported. 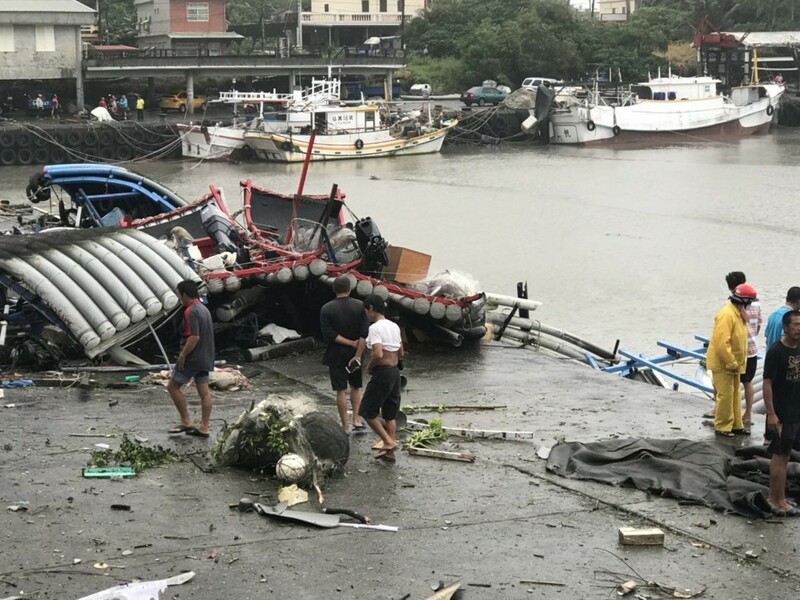 Sea alerts along Taiwan’s east and south coasts were expected to be lifted around 8:30 p.m. Saturday, as the super typhoon had been downgraded to a regular typhoon and was moving away from the Philippines in the direction of Hong Kong, causing massive flight cancellations to and from the territory’s airport.